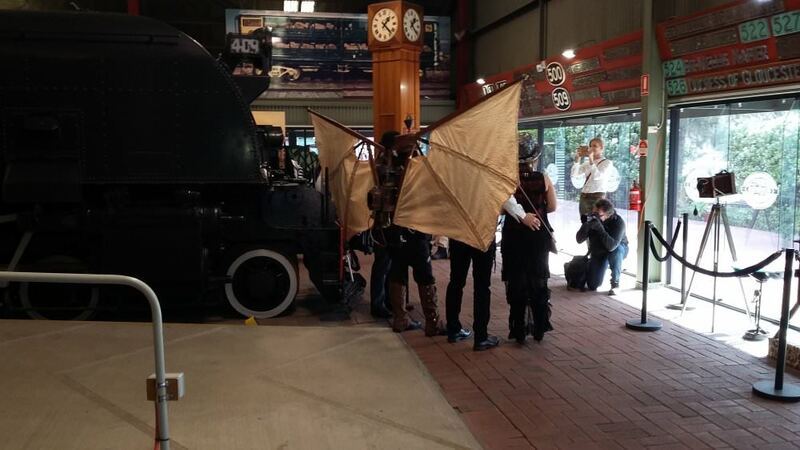 Now days I find myself more and more involved in the Steampunk communities of both Australia and New Zealand. Much of this interaction takes place in person or through the world of the Facebook. As such I have not been that involved with this esteemed forum for some time. Also a user of Facebook and as such is involved in groups and such there? I would consider posting links to the various FB groups, etc, but I need to refresh myself of the forum rules before doing that. Per, not out there active, & wouldn't touch Facebook with a ten foot pole! But living the quiet SP aesthetic in my own quiet way! 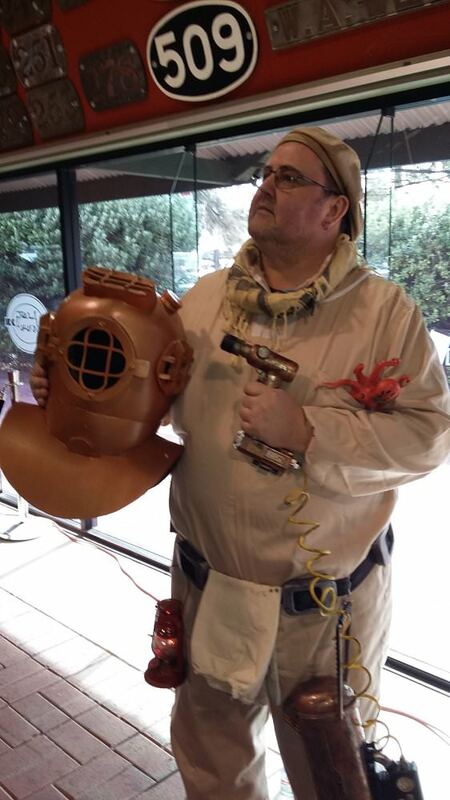 I got driven out of the regional steampunk group on moral hygiene grounds for being a single lady. Hurricane, you weren't suppoed to be a single lady, or your moral hygiene was too strong? Bearing in mind the men in the group were either safely married or confirmed bachelors, fixatedly interested in gadgets and mechanical parts, that my extensions aren't too movable and my mechanics are fairly shot - I was hardly going to be tempting to them in any form. Which had been a point of comfort and haven for me. Bit of both then! As an independent single lady myself I can completely understand - single ladies are a continual threat. 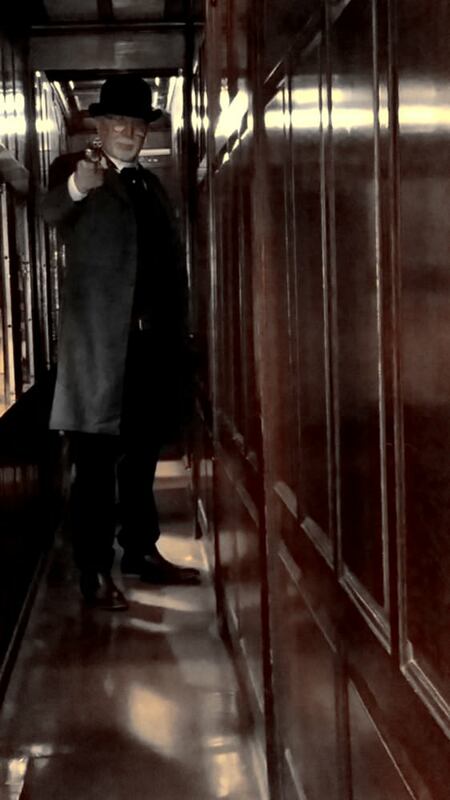 Sometimes even my walking stick is considered a 'prop' to gain sympathy and gentlemanly consideration. It almost impossible to get across that I am a single lady by intent, not misfortune! Thank you, don't mind if I do! But I like mine sweet, no lemonade! 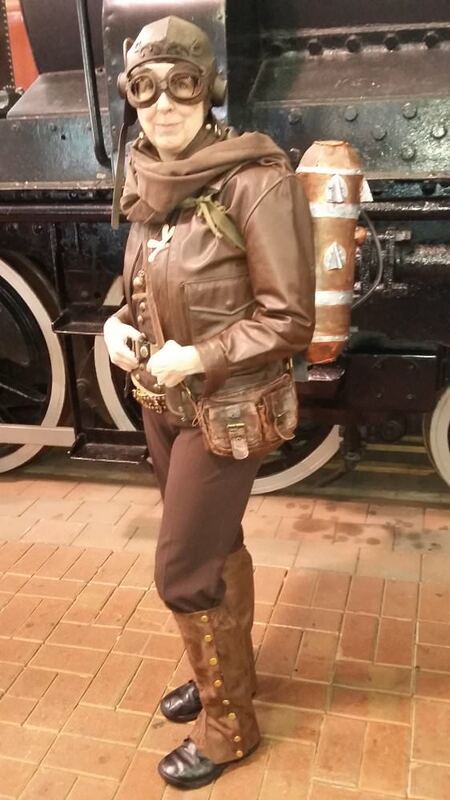 Annie and Banfili, I am going to a Steampunk fest in a week, and I am a single guy. Should I take a chaperone? Melrose, do you want a chaperone? Yes. Mr Melrose. You will definitely need a chaperone of the stoutest moral fibre and inner fortitude. There will be widows and spinsters only to eager to lure your virtuous and honest self doewn the garden path. I went, chaperoned, for all the good it did. I was thwarted by my immense charisma, which in retrospect I should not have worn. 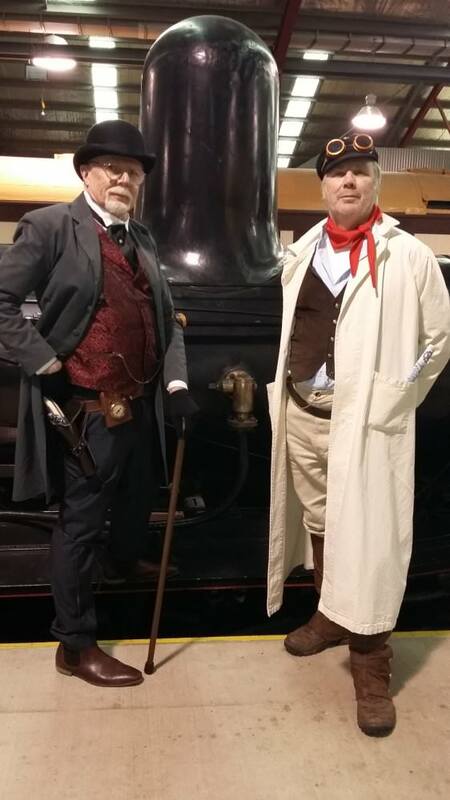 Firstly, my costume (Samuel Melrose, Loss Adjustor); Len Insworth (Bolshie) and a Bolshie agent whose name is not on my files; and yours truly again at the festival venue, the Port Adelaide Railway Museum. 4th shot is part of the venue, between various rolling stock. 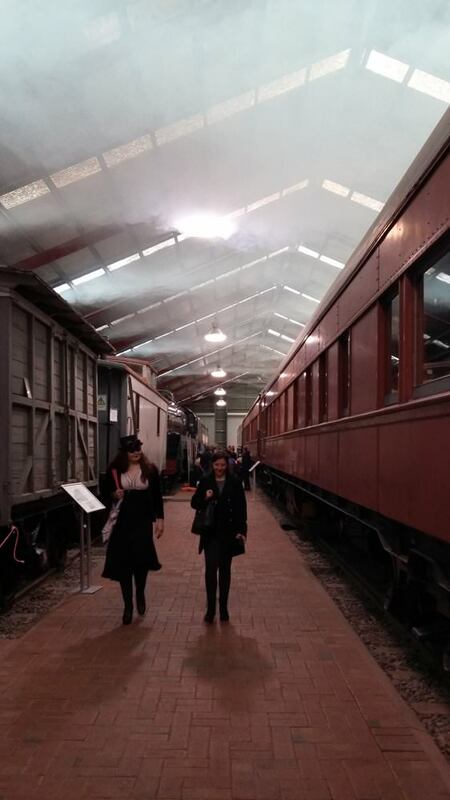 The temperature was such that the generated smoke hung beautifully motionless, up near the roof. Fifthly, a general view of the business district; indie booksellers, snack vendors, purveyors of crafts and accoutrements, etc. A stall in the Main Street, with a steaming device in the background; a lady aeronaut with a pack of her own construction; a skilled artisan sharing methods for equipping oneself; and a gentleman who has equipped himself with a flamethrower, beneath whose fuel tank he has bravely added a small charcoal burner. 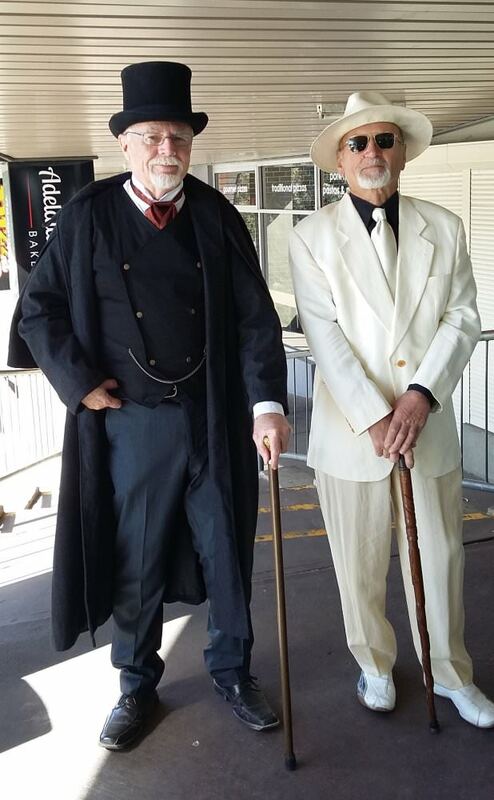 A well-dressed couple; myself ignoring a gate-crasher; an intrepid sub-mariner (he either has a squid in his pocket or he's happy to see me); my Bolshie friend about to pilfer a locomotive. An impressive wingspan attracts the eye; but he has the breeding to fold his wings to conduct genteel conversation. Closing on the Bolshie swine; and finally, cuffed and in my custody. 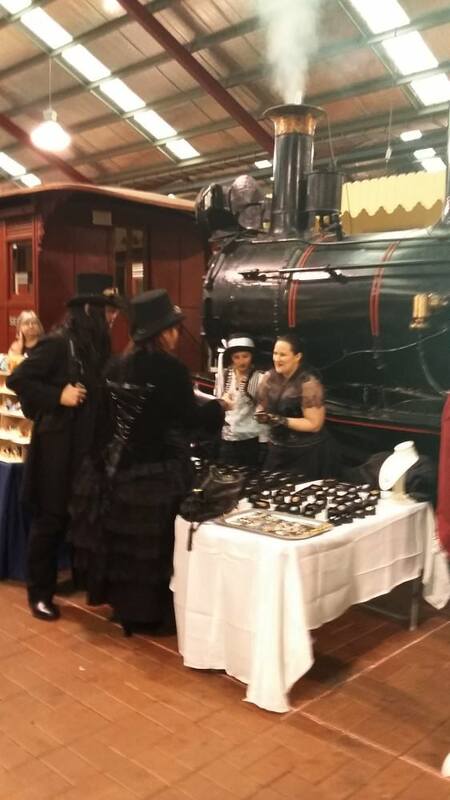 Any interested Facebooker can find more at Steampunk South Australia's FB page. 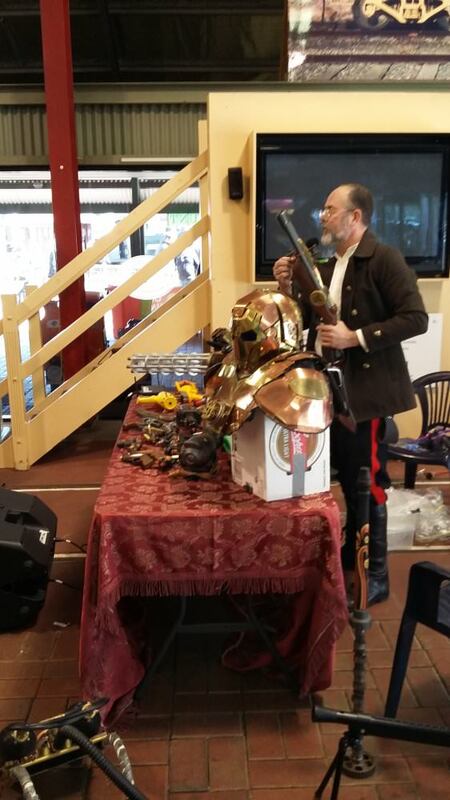 Some superb photos of this event plus other cosplay gatherings are on Steamkittens FB page. I think putting either name in the FB "search" field will take you to them. Should it not, you may appeal to my good nature, which I have in a drawer next to my charisma, though I don't often take it out. 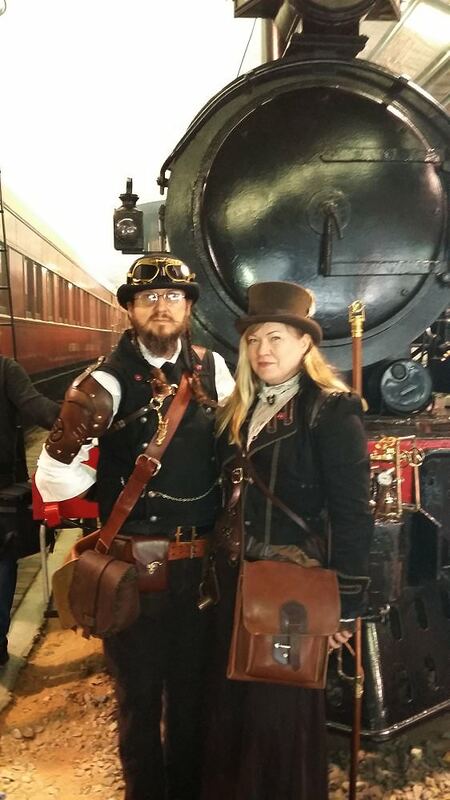 On a serious note it was the first Steampunk outing for me and the couple I was with. It was more fun even that I had expected, and very friendly. Oh, nicely done, Melrose! Lovely photos, charisma & all - so glad you & your friends enjoyed yourselves. It looks like a great day was had by all! It was superb. I don't know much about the organisers - whether a formal group or an established network - but it seem the main organiser has been getting well-earned praise. The participants were a very sociable lot, though some of the "civilians" who turned up merely to visit the museum seemed occasionally confused. I believe they have another gathering in December, the height of summer, so out will come the pith helmet. I am not sure if you have put two and two together, but in your "well-dressed couple" picture, I am the less good looking of the two. You may have recognised me from my profile picture? We are from the Unorthodox Society for the Elucidation of Retro-Futurism (also to be found on FB, and elsewhere). 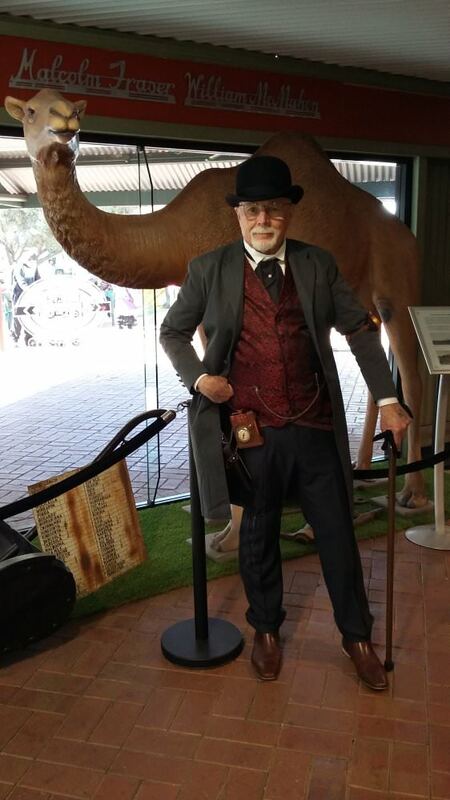 We travelled from northern NSW to Adelaide especially to attend the festival there and to observe the South Australian Steampunk scene. It was a lovely two day event, and we met some wonderful people. Hopefully it and the Steampunk community there will continue to grow and prosper, as it helps to showcase some incredibly creative people. 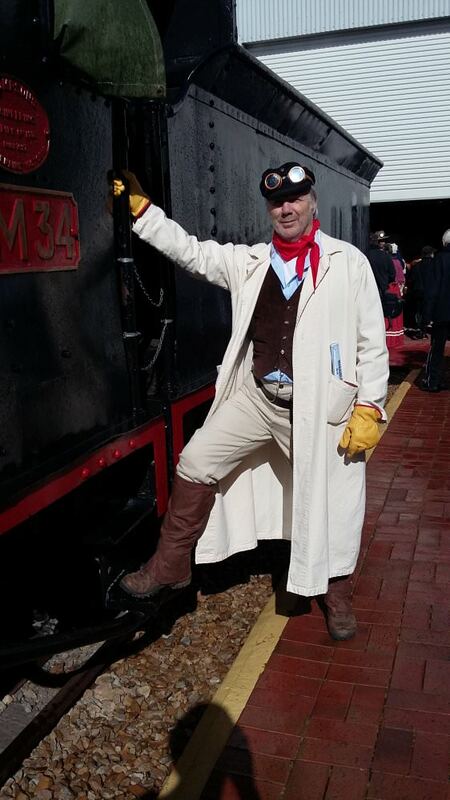 On another note, you looked splendidly attired for your first Steampunk outing. Well done sir. 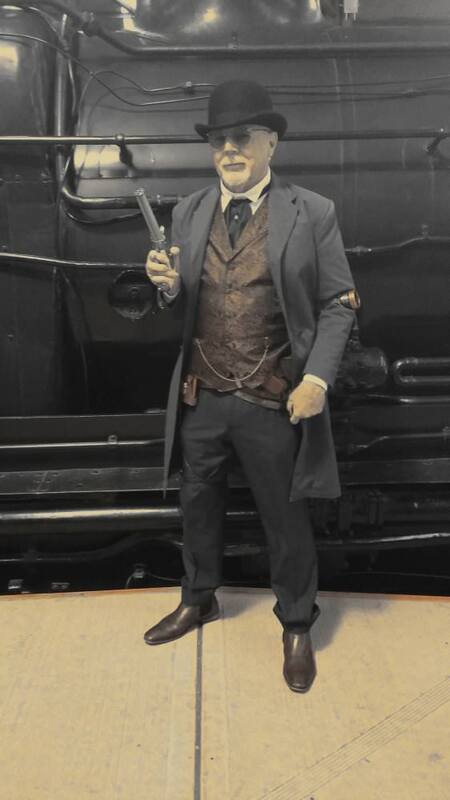 I hope it has raised your enthusiasm, and that you continue to explore and patron the world of Steampunk. And well travelled, Per den Stigandr - a fair distance by any means! There were so many excellent costumes, yours in particular, and all showing different perspectives on the subject. It was indeed a day well spent, even if the feathers in my hat vanished in the first ten minutes, and I hope it won't be my last outing. EDIT: I see your portrait is up on the "Steamkittens" FB page. Nice! Thanks for the photos and reports. While I am sorry I missed it, being a Victorian Victorian, it is joyous to see such such good things happening. I do find it frustrating that in such a place as 'Victoria', we don't seem to have many (any?) 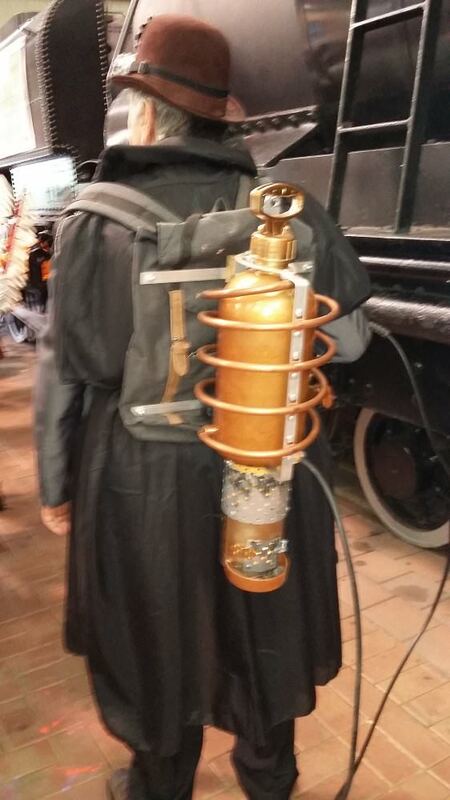 Steampunk things going on here. I know the feeling. 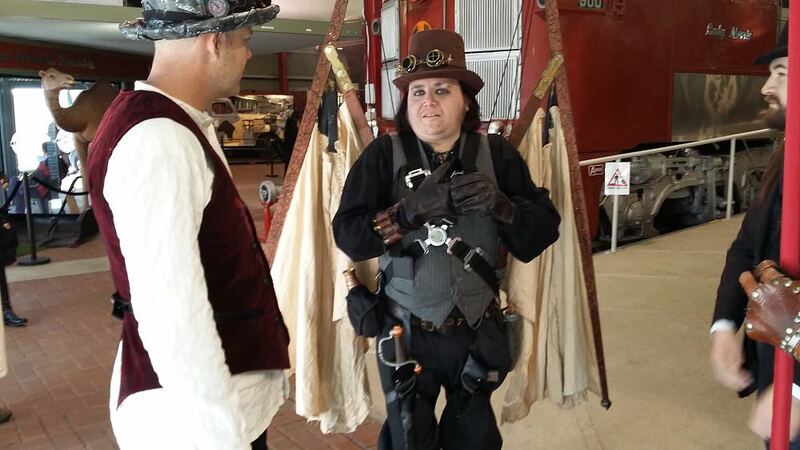 You've been at it longer than me, I guess, so know whereof you speak, but the Steampunk fest above was my first "outing" and it reassured me the people are out there. Until then, all I knew was that there was an uncontactable clique who occasionally did photo shoots in old buildings. Were it not for the annual gathering I'd never have met them. Before that, all I had was a local coffee shop. It leads me to suggest a "do-it-yourself" group, built up bit by bit. One day one of the regulars commented that with all the old fogeys in our crowd, we should have a "hat and walking stick" day. For me, that meant wear my usual! But I thought, why not go over the top, so I did. I got there and found I wasn't the only one to costume up. The coffee shop staff and customers loved it, and want to know when we'll do it again, and everyone has fun. So the next part of the plan is to suggest we all "dress neatly" or "dress formally". Then it will be "dress historically". 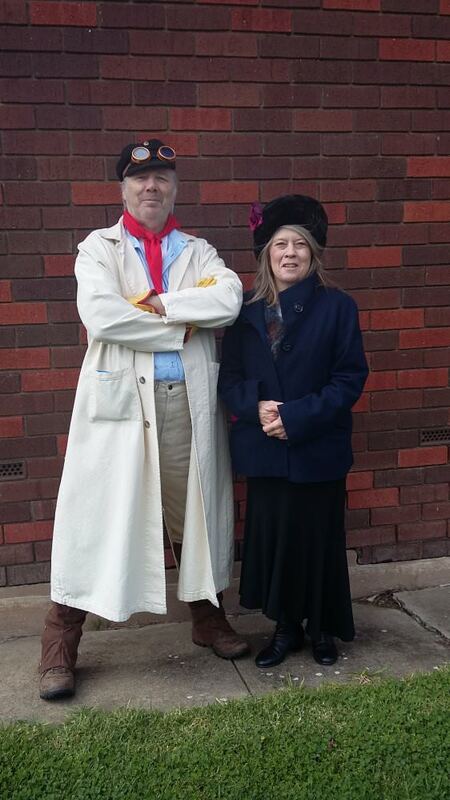 People are already asking how to get hold of the older-style fashions. After that, it's simply a matter of today the coffee shop, tomorrow the world... and I won't even need tripod fighting machines to do it! Muuu...wahahahah! My son in law (a brewer - what a hoot eh!) is in the process of opening one of those beer-in-a-warehouse type set-ups. I have suggested it would be a good venue for spot of Splendid Teapot Racing. He is quite open to the idea, providing I organise it... 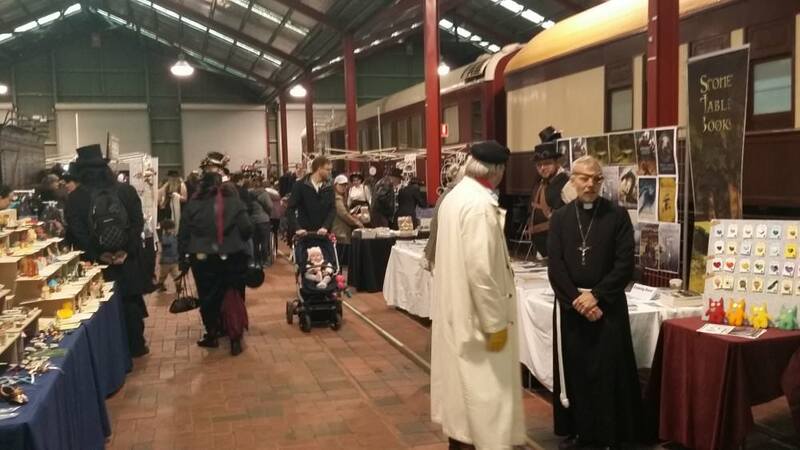 It would definitely be an introduction to Steampunk for lots of people and might start a mini revival in Steampunk in north east Melbourne. Prizes would be given for dress etc as well as the actual race winning. If successful, it could be a good annual or biannual event. Ballarat would lend itself to a Steampunk festival - there is a wonderful festival www.andersonsmillfest.org.au/ held at an old operating water mill which would be perfect for such an event. 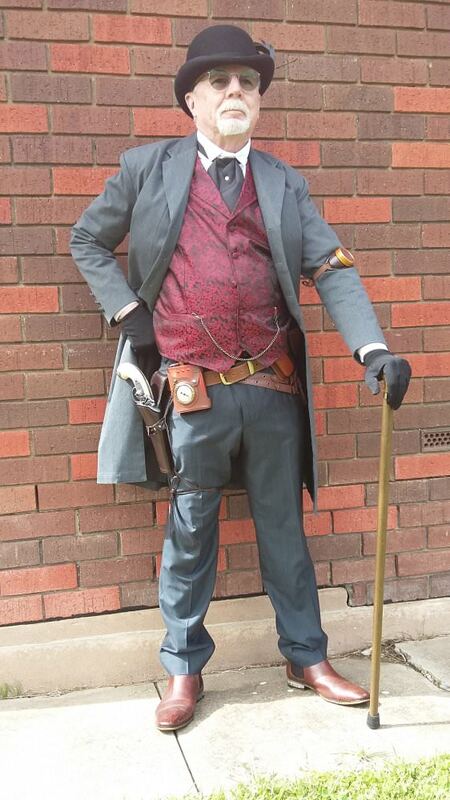 As it is, I doubt anyone would bat an eyelid if a few Steampunks were to walk about there. Page created in 10.998 seconds with 16 queries.